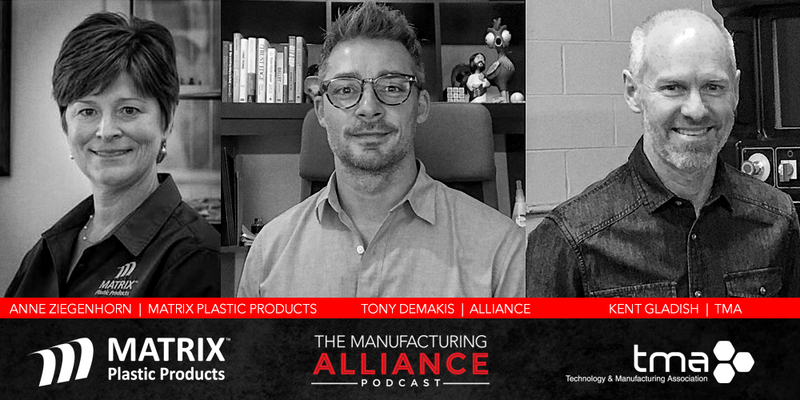 In this episode Kent Gladish of the TMA and I sat down with the Anne Ziegenhorn the Sales and Marketing Manager of Matrix Plastic Products. Going into the conversation I found out that our families actually have a pretty rich past together so I was excited to learn more. The Ziegenhorn family has been a huge supporter of the TMA over the years and over the course of the conversation we learned why it is so important to them. We also discussed the different marketing challenges manufacturing faces every day, working with family, differentiating yourself in a space, and how to be a problem solver for your customers. Fantastic video! Great job and congratulations to the Ziggenhorn’s!